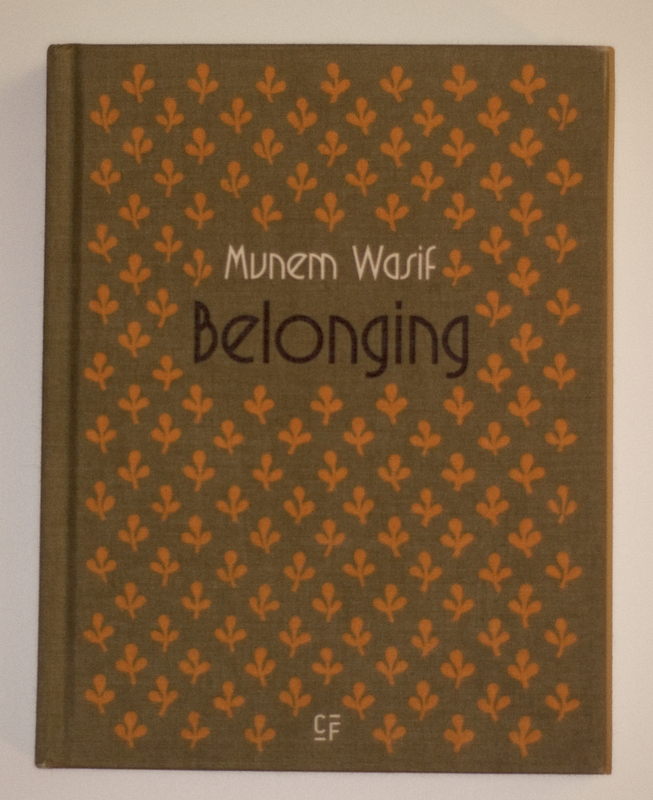 Opening photographer Munem Wasif’s book Belonging is like having a dream awake. The fifty-nine reproduced black and white photographs depict the microcosm of Puran or Old Dhaka. The first photograph in the book is taken from what seems like just outside of Old Dhaka. Perched across the street from a main entrance to the neighborhood the photograph was shot through a broken car window. This image sets the scene, you are an outsider who is about to be given a glance at the beauty beyond the walls. The second photograph is where the dreamy feeling takes hold. Wasif took the picture from what feels like a cramped alleyway looking up at a window where a mother is tending to her young daughters hair. However, the young girl is occupied by something down the alleyway outside the photographs scope. The photographs continue with an air of mystery, cramped and contrasty. Some of the photographs were taken at night and I have a particular fondness for these. Something about South Asia at night, it seems more real. The most compelling is a photograph taken during the Durga festival. It is night time and there are many people surrounding a large statue of Durga, one of Hinduisms more prominent goddesses. The energy of the festival is captured through the motion blur of the Durga statue and many of the participants. There is what seems to be a camera flash going off behind Durga to her left which creates a bright spot in the middle of the frame. The brightness of Durga’s arms and the flash of light create two bright spots in the middle of the frame producing supernova energy amidst the chaos. In the bottom left of the frame is a young man, two-thirds of his body are cut out of the frame even still you can see the calm look on his face as he is lost in thought and Durga’s sideways downcast glance seems to be looking straight at him. The remaining fifty-six pictures continue the story of Old Dhaka its chaos and its quiet times. They express the layers of life that have existed there for many centuries, through the decay of old buildings to the crisscrossing of electric wires. Children playing in the streets, dogs wondering through the darkness, the inside of a movie house, people sleeping or just living their lives fills the pages of this book showing the richness of culture that continues to change and thrive in the heart of Dhaka. Munem Wasif is indeed a man of classic photography as Christian Caujolle writes in the essay of the book. Wasif has studied photography, taken the popular documentary style and made it his own. Caujolle’s essay along with all the other text in the book is printed in English as well as French. The book was published by Grafiche Milani in August 2013.